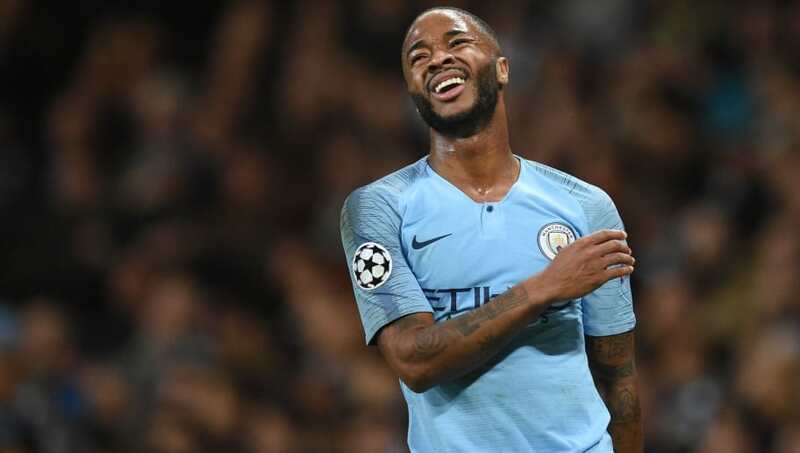 Manchester City forward Raheem Sterling has apologised to the referee after being awarded a penalty during the club's 6-0 win over Shakhtar Donetsk during the Champions League group stages. The incident happened midway through the first half and City were only leading by one goal at the time. Sterling raced past the Shakhtar defence​ before comically kicking the ground when attempting to shoot - with defender Mykola Matviyenko some distance behind the forward. Although there were rightly no appeals from the Manchester City team, referee Viktor Kassai pointed to the spot, allowing Gabriel Jesus to step forward and score his first of three goals at the Etihad. "I went to chip the ball and don't know what happened," Sterling said, quoted by the Daily Mail. "I didn't feel contact. I scuffed the ball. Apologies to the ref." Referee Kassai appeared to have his view of the incident obstructed by the backtracking Matviyenko, while the official behind the goal was also unsighted by an onrushing Andriy Pyatov. The incident has received a lot of attention since Wednesday evening, and modern football culture has left fans trying to find someone to point their fingers. Sterling honest in post match interviews. Says he messed up and kicked the floor, fell over, ref gave penalty - sorry to the ref and to Shakhtar. Upshot of all of it - VAR needed!! Fortunately, however, most have come to the conclusion that the incident was just a perfect storm of things which led to the penalty being awarded, something which could have been avoided with extra assistance for the officials. Manchester City manager Pep Guardiola was also signing from the same hymn sheet after the match, insisting that a Video Assistant Referee would have reversed the original decision in no time at all. "VAR is what it is. I said a long time ago the refs must be helped," Guardiola said over the incident. "They want to make a good performance, they don't want to make mistakes but today the game is quick and fast and the players are more skilled. "They must be helped because it [only] takes 10 seconds for someone to say it is no penalty. It is what it is."